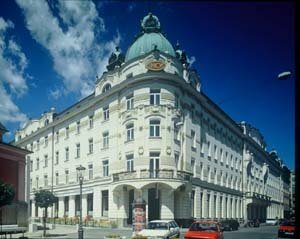 This hotel is located in the same complex as the RIPE Meeting venue and is one of the most beautiful and elegant hotels in the region, constructed in 1905 in Art Nouveau style. Rates offered for RIPE Meeting attendees include breakfast, wi-fi Internet and V.A.T. You can also check our alternative hotels list.